Fresh Tuna is rich in different kinds of vitamins. A 3.5 ounce portion of Tuna can provide around 38% of an adult’s recommended daily niacin intake. Niacin is a form of Vitamin B3 which can lower blood pressure and prevent headaches as well as cataracts. The same serving also offers 13% of the daily requirement for Vitamin D which decreases the risk for developing heart illnesses and reduces bad cholesterol. Vitamin D also supports the formation of strong bones and may prevent cancer. Furthermore, fresh tuna is a good source of folate and Vitamin K which are essential to averting heart problems and stroke and supporting proper blood clotting, respectively. Fresh Tuna is also abundant in minerals including zinc which boosts the immune system and magnesium to support strong bones and normal blood pressure. Magnesium may also avert depression and osteoporosis. Calcium (to prevent bone conditions), iron (for healthy red blood cells), and phosphorus (for strong bones and improved digestion) are also found in small amounts in fresh Tuna. 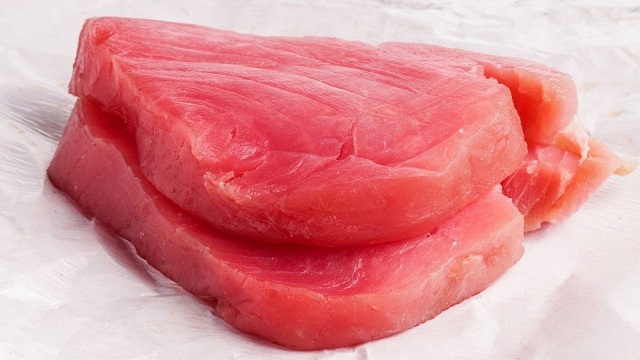 A 3.5 ounce serving of fresh Tuna contains around 25.2 grams of protein. Its meat is lean protein meaning it has much less saturated fat and cholesterol than pork and beef. Consuming fresh fish instead of red meat can reduce the risk of diabetes, colon cancer and reducing the possibility of developing heart conditions. Fresh Tuna has 2.1 grams of omega-3 fatty acids for every 3.5 ounces of serving. In fact, it is the standout fish with the greatest number of health advantages. Omega-3 fatty acids in fresh Tuna can reduce the chance of developing several cancers, hypertension, high bad cholesterol, and heart problems. These fatty acids can also decrease inflammation and help preserve brain function as one gets older. Fresh fish like Tuna are great-tasting and a perfect accompaniment to a healthy diet. Look to buy fresh fish at seafood markets which offer superb quality produce, are knowledgeable and give you excellent customer service. They’ll likely have a great selection of seafoods that are locally sourced and absolutely fresh.